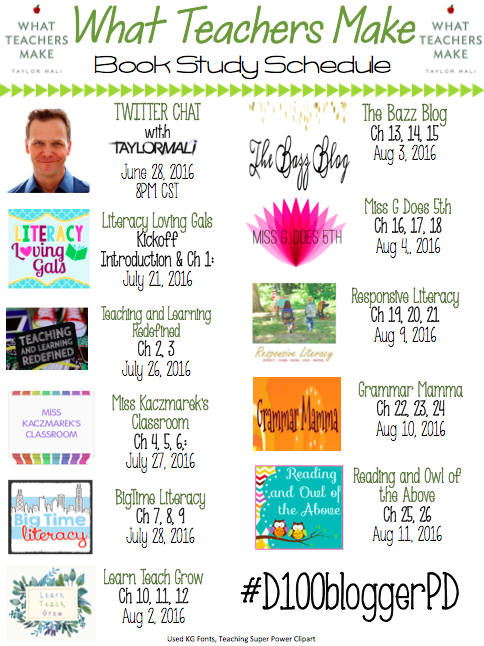 Hello, fellow bloggers & friends! Thanks for stopping by and being a part of our #LaunchBook & #D100BloggerPD crew. For those of you new here, I'm Kayla - a 1st grade T working to familiarize myself with this Design Thinking awesomeness. We're continuing on with Phase 2 of our Launch Cyle, but below I've provided our ThingLink #LaunchBook schedule in case you've missed out on any of the previous reflections & posts. Just hit pause and we'll all be here when you're ready! ​Have you had the opportunity to interact with a 3 year old? They're curious. These little humans are at the stage in their lives where they begin exploring the world. They roam, they touch, they ask "Why?" every other sentence they speak, and they're on a mission to try and figure out how everything in their reach works. ​"Don't touch that, that's not yours." "Don't go over there, come back here!" Before starting my teaching career, I worked as a Leadership Consultant traveling to universities across the country to provide training and leadership development to collegians involved in on-campus organizations. One of the biggest aspects of my job was to train these 18-20 somethings on personal connection and vulnerability in conversations. In order for us to make those connections, we need to be curious about the lives of others. What I found working with these students, is that it was challenging for them to be curious and ask 'deep' questions' that could potentially lead to establishing real, authentic relationships with other students. It's better to neglect the fact that they are enduring a loss because you don't want to remind them of the hurtful feelings. Quickly I began to realize that it wasn't necesarrily their fault for being hesitant on asking more intimate questions to build those connections. That's what they've learned growing up. We have trained them as parents, mentors, and teachers that it is not okay to be curious in real-life interactions. It's rude. It's impolite. That becomes a mentality, but it does not need to remain a mentality. My colleague, Ramona Towner describes Phase 1: Look, Listen, & Learn in the Launch Cycle in the previous post in our study. The next step in the Launch process after students Look, Listen, & Learn is to Ask Tons of Questions. Spencer and Juliani do a fantastic job at setting us up for success by providing us the knowledge on how to teach students to ask questions. And to know that there is nothing wrong with wonder and curiosity in our world. In a traditional old-school setting, teachers are doing all the talking and giving students directions on how to solve or complete problems. Even when we strive for a student-centered inquiry approach, we usually end up providing students with everything they need to get the right answers or to "succeed." Spencer & Juliani suggest that students should ask as many questions as they answer. Think back to the most prominent inventions created, or the scientists who've worked endlessly to provide answers to us for our world's unsolved mysteries. Their work is influenced by their wonder and curiosity in what has yet to exist. When we encourage students to ask their own questions, they get the chance to own the entire learning process (Spencer &Juliani, p.98). Is it true that you can't drink a whole gallon of milk in an hour? Why does metal always seem cold in a classroom if it's been in the same room temperature? What makes the ripples in water? Reading these questions has allowed me to realize all the questions I'm sure my first graders have as they continue to learn about the world around them. One question I distinctly remember one of my students asking was: Where do balloons go in the sky? I should have LATCHED on to that opportunity, but I didn't. Instead we continued on with our day. ARGH. Before learning about the Launch Cycle, I was not providing my students with as many opportunities to ask the questions circling through their absorbant brains because I was so focused on their reading, writing, & math curriculum. So HOW can we do this successfully? 1. Question everything: analyze mathematical processes, thinking through social issues, analyzing the world for cause and effect. 2. Wonder days: students research their own question to summarize and ask further questions. 4. Model the process: model the types of questions that require deeper thinking. Ask the students a challenging questions, followed by: "Why was that a hard question to answer." This allows students to be exposed to deeper questions. 5. Practice it often: mock interviews, fake press conferences, debates, etc. Activities where students are required to ask questions. 6. Spend more time playing: EXPLORATION! 7. Provide support: using sentence stems, visuals, and sample questions. 8. Explain and model the different types of questions: teach students about clarifying, critical thinking, and inference questioning. 9. Embrace student choice: when students have the opportunity to spend time working on something they love or are passionate about, their intrinsic motivation and determination will increase. Students asking other individual students questions. Groups specifically assigned for students to ask each other instead of the teacher. Students ask the whole class a question. 11. Slow down: slow and percise learning leads to inquiry. There is no need to rush the learning process. 12. Follow rabbit trails: in a single moment when curiosity is sparked, go and chase it! Do not let it run away never to be found again. 13. Share your own questions: when teachers model their curiosity, it breaks the barrier so that students feel more comfortablt that, they too, can ask questions. 14. Reduce the fear: students may be nervous to ask a "stupid" or "wrong question." Be transparent that there are no wrong questions. If we can work to establish this curiosity in the Launch process and within our classrooms today, we can provide our students with the knowledge they need to build their curiosity in and out of our school walls. There will always be questions & answers waiting for us. As teachers, we need to emphasize that importance. It is not our job to provide students with all the answers. It is our job to guide and support them in the process to obtaining those answers through personal inquiry. Thank you so much for joining us on our #LaunchBook journey! Stay tuned for the next post by my fellow Hiawatha Husky, Lori Horne, as she dives into Phase 3: Understanding the Information at Responsive Literacy. If you're just tuning in now, don't forget to stop by and spend some virtual time with my colleagues Kirstin Richey and Jenny Lehotsky as they covered Hacks 1 & 2 earlier this week. Hacking Education: 10 Quick Fixes for Every School (Previous #D100Blogger PD - you can get started here). It's Monday, 5 a.m. and your alarm is shrieking with excitement for this new day. Are you? What are your thoughts? *Yawn* A brand new week, full of potential. Full of risk-tasking. Full of successes, and maybe even failures. But before any of that can take place, my first thought? COFFEE. The problem I face every Monday morning is not that I won't be able to make it through another week as a first grade teacher. The problem is that there is too much to cover in Common Core standards and expectations for my students - I think: how can I possibly set them up for success in all that we need to cover? Exactly why I think I am a perfect match to be paired with Hack #3: Friday Every Day. The Hack: Bringing the Delightfulness of Friday to Everyday. So what's so different about Monday compared to Friday? I know that most people in the workforce are looking forward to the end of the work week. Social media graphics and posts serve as key evidence. 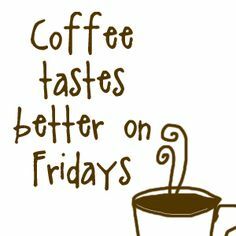 I agree; coffee DOES taste better on Fridays. Nonetheless, I surveyed 15 teachers inside and outside of D100 with anticipation that all general education teachers were on the same playing field on what Friday means in their book. I first asked these teachers if they were generally happier on Friday morning than any other morning of the week. Of those surveyed, 14/15 teachers answered, "Yes." Can we come to a common consensus that more happiness is emulated at the end of the week? HELLO, WEEKEND! My follow-up question was as follows: How is your attitude different on a Friday morning in comparison to a Monday morning? Answers included: feeling excited, energized, relieved, and more relaxed that the weekend is approaching; positive, carefree Fridays; work, work, work mentality on Monday to accomplish as much as possible; more fun with students on Fridays. It seems if we work hard at the beginning of the week, we can play harder towards the end. In my final question I was curious to see the differences in instruction at the end of the week compared to the beginning. 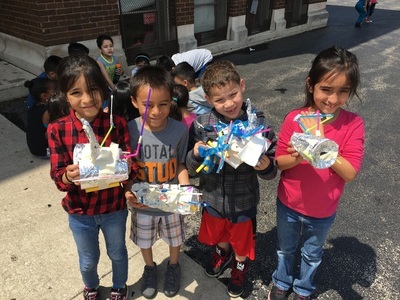 I learned that on Fridays there is more project-based learning, craftivities/snacktivities, free-choice, game-based learning, STEAM, Genius Hour, etc. I am right along with these fellow educators. I love saving my fun, active, game/craft-based learning towards the end of the week. But my question for everybody reading: why do we save these activities until Friday? Why not integrate them into all the days of our week to create more engaging, student-led experiences for our students? 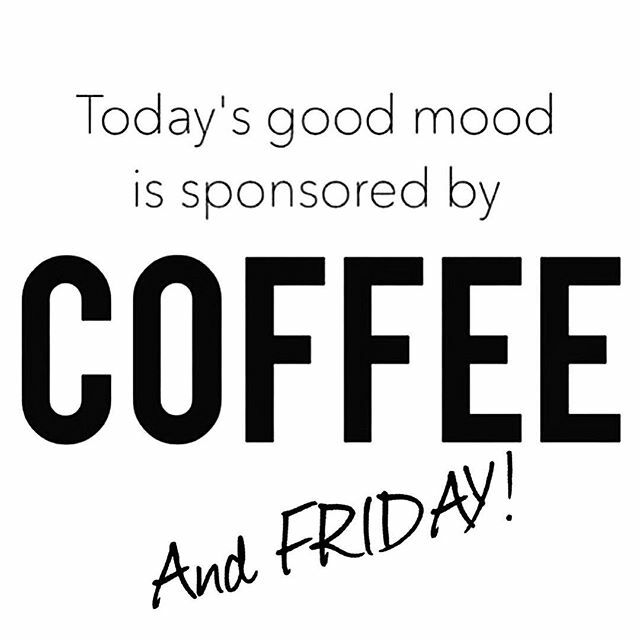 Bring the happiness associated with Friday to every day of the week. 1. Find the mental velcro - experiences that will stick - by incorporating the fun, awesome experiences into your curriculum more often than just Friday. 2. Make some critical cuts. A colleague of Fisher's states: "We must be loyal to learning and defenders of innovation." Fisher follows up by expressing that teaching someone else's "plan" (curriculum lessons) and going by the book will not allow for this. 3. Relieve your students' anxiety. YOUR STUDENTS ARE NOT A STANDARD OR NUMBER. 4. Worry more about the how and the why, rather than the what. Shift your mindset for more discovery and exploration to occur (STEAM activities, design thinking, etc) and less about the standards. Great resource here. 5. Think about the information your formative assessments provide. Just as every child learns differently, students can master work in different ways. Give students opportunity to execute creative ways to show they are mastering the content. Present opportunities for project-based assessment on the student's individual choosing. Yes, tomorrow IS Friday, but I challenge you to bring Friday to your Monday-Thursday. Together, let's change our perspectives about early on in the week. Let's change our plans to implement enriching experiences for our students throughout the entire week. Let's have FUN on Monday, Tuesday, or even Wednesday, Thursday, AND Friday. 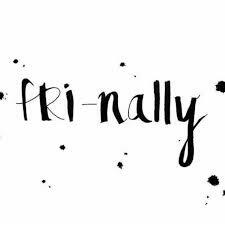 And next time you wake up on Monday with an overflowing to-do list of standards, objectives, and assessments, take a step back, re-arrange our mindset, and hack those standards by making every day feel like FRI-YAY. ​And if you're still wanting more, join us at our #D100BloggerPD chat on Tuesday, October 18. Welcome back! It's been quite some time since we were all gathered (virtually) around Miss K's Classroom for the #D100BloggerPD Book Study. You're in for a real treat as we continue our study series with Taylor Mali's book: What Teachers Make. If you're just jumping in with us, don't forget to check out the first two posts by my district colleagues, Colleen Noffsinger at Literacy Loving Gals and Jennifer Lehotsky at Teaching and Learning Redefined. Before we move on, let's rewind back circa 2011 as I was sitting in Dr. Brian Horn's EDU 209 class at Illinois State University (yes, I promise this story is relevant). I'm bringing you with me to this moment because I was a sophomore in college and just diving into the courses required for my degree in Elementary Education. If you read my home page, you will come to find out that I knew I wanted to become a teacher since Kindergarten. However, in college, I constantly surrounded myself with people who committed to many different majors, whom had diverse interests and passions. For a moment, I became overwhelmed with the countless opportunities that presented themselves before me at Illinois State University. Alike many other 20somethings faced with tackling questions, I found thoughts whirling through my brain such as: is teaching really the profession I want to turn into a career? Can I commit to this for the rest of my life? EDU 209 was a course designed to provide opportunity for prospective teachers to learn theory and practice in teaching reading and language arts at the elementary level. Dr. Horn was a professor dedicated to - not only teaching us what is stated above - but equipping us with knowledge in education in high-poverty, high-crime communities. I was interested (and a bit intimidated) in some of the information he provided, but one of the biggest things I took away from that class was the confidence I acquired in my ability to serve and inspire students in insurmountable ways. What was it that helped me find that confidence? I found that fire in my heart that ignited my passion for this profession from one simple thing. There is very little I can remember about that course nearly 5 years ago, other than the day Dr. Horn introduced us to Taylor Mali's poem: What Teachers Make. Tears in my eyes and even more hope for my future, I was easily convinced there was no other profession for me. You can just feel the passion and commitment Mali has for teaching and inspiring students, teachers, and educators. I thought: I want to be that. I want to do that. ​From that vivid memory back in 2011, I now have the privilege to work with my #D100BloggerPD colleagues as we pick apart Mali's book. Full circle, right? This past year was my first year teaching and there was nothing I dreaded more than the communication with parents to discuss negative behaviors executed by their child. The communication part on my end was not what created a bubble of anxiety. I am confident that I have the capability to handle these tough situations with professionalism and empathy for the family members on the other end. The students in my classroom crawled their way into their own special place in my heart, so what concerned me the most about calling home was the fact that I was speaking negativity about someone to someone that cares for this very much for their child. One of the several parts of Mali's poem that sends butterflies from my stomach to my happy teacher heart, is when he invites us into a time when he had to call home. Look above to read this part of What Teachers Make and experience all the teacher feels. In Parent Teacher Conferences, parent faces light up at the great news of his/her child doing well in school - both academically and behaviorally. On the phone, the engagement and tone of a parent can change drastically based on the information received from the other end of the line. For those students who struggle to behave well in class, they need praise when they do behave well. It's just as important that their parents be aware of this behavior and praise. Positive reinforcement is highly encouraged in my classroom, and every year my students are well aware of the high expectations I have for them. Positive reinforcement and praise for students can actually create a sense of motivation for a child to do better, to strive to be better. Isn't that what we want for our students? Mali suggests that this sort of positive praise and communication with parents will, in turn, create motivation for our students. Ding, ding! Every teacher loves when we can see positive behavior executed in our classrooms. When students are aware that we see their hard efforts in school, we are setting them up for continued success. We need to remember as teachers is that students need the praise and parents need to hear the great news regarding their child. It truly can make the difference. One of the most beautiful moments in my career centralize around those unthinkable teachable moments. The moments that happen when an event is so unplanned, but oh so captivating to you and your students. They're rare, precious, and should not be taken for granted. Mali describes the "The Lightbulb Moment" as a time being when all of a sudden something clicks in the mind of a student and he or she finally "gets it." I also think of those special moments as being small successes in the right direction. And if a student is headed towards the wrong direction, we have the privilege to help redirect them to help them achieve. These moments happen in my life, in yours, and especially in our students and they need to be recognized. I can remember a time in my classroom this past year when a teachable moment occurred at one of my student's fingertips. 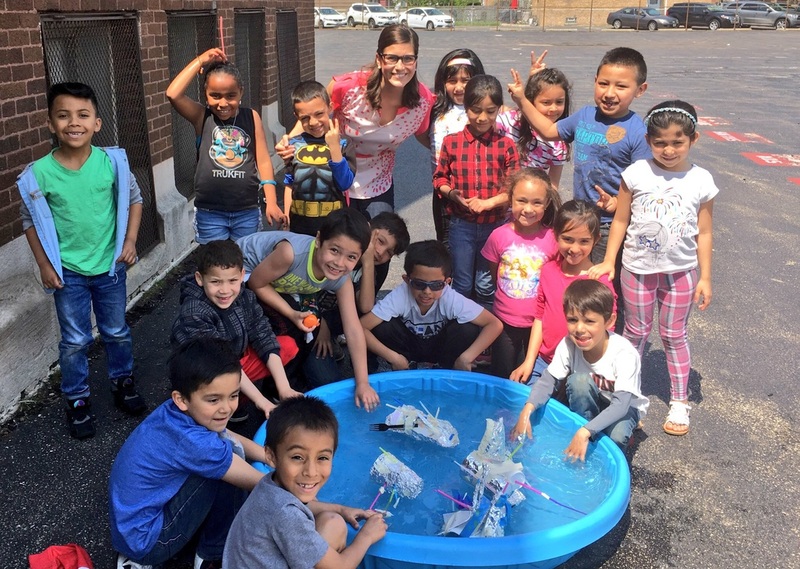 It was "Float a Boat Day," one of the most memorable days towards the end of the year countdown. 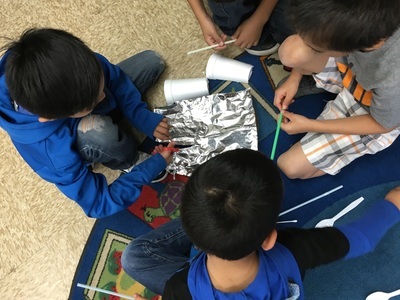 The lesson was focused around a STEM (science, technology, engineering, math) activity and was student-centered. 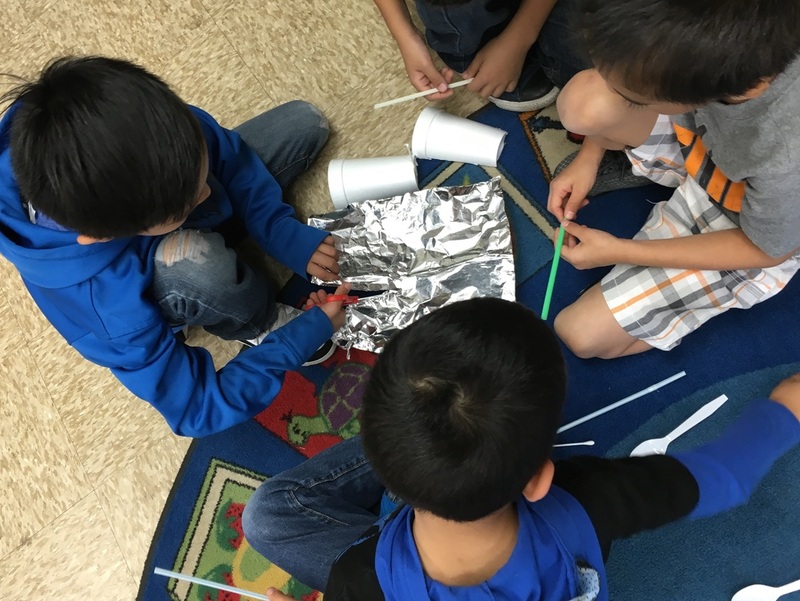 It was the day where my students would create their own floating boats out of selected materials I provided. However, the spotlight was on them. We had not yet discussed how to make a boat float, but using their own inquiries, they were to research videos on their iPads using the KidsYoutube app. The first lightbulb went off for one of my sweet students and I threw my hands up in the air, jumped up and down, and shouted, "YES!!!! Yes. Yes." That moment confirmed for my students that Miss K was losing it (end of they year), as their heads all turned towards me and AH-HA, I had their undivided attention.. for the first time.. ALL YEAR. They saw my reaction to this student. My excitement. How proud I was for this student to discover that he needed to make his boat hollow. It was in that moment, in the hands of that particular student, that I felt accomplished. I had MY lightbulb moment. Throughout the year, I had taught the students the acquired skill-set they needed to achieve success. Just like that, they were able to work through their own problems and solve their own questions. We held our boats and confidently walked to the playground to set them in the kiddy pool to experiment. All of the boats floated; however; after 5 minutes or so, one boat started to slowly sink below the water. Instead of seeing it from the perspective of failure, we gathered around the pool and started discussing why we thought the boat sank. Oops, one boat sank. It wasn't planned. Let's refer to it as a happy accident. This happy accident turned into a teachable moment. Can you see how great authentic learning can be? THAT'S learning. That's the FIRE that Mali teaches for. That's the fire that we need to teach for. That's why we're here. As a first-grade educator in a highly diverse, Spanish speaking community, my priority for my students is not to have them spell words correctly, but to have them understand our wide-range of English vocabulary and language; to provide opportunities for a more increased cognitive development, rather than a score on the top of a spelling test (yuck). After reading and re-reading those words, I still could not find that silver lining to help me resonate with Mali. When I purchased this book and read Definitely Beautiful in its entirety, I finally grasped the concept on Mali's purpose behind the selection of those words. He also shared an experience at summer school when a friend had a moment of epiphany when he realized 'beautiful' actually begins with b-e-a-u (the English language is a funny thing, isn't it?). In the poem, there's a deeper meaning behind students spelling words correctly. Mali wishes for us to experience this deeper meaning with him, too. Both instances when Mali learned to spell 'definitely' and his friend learned to spell 'beautiful' are accompanied by those beautiful lightbulb moments we discussed previously. He describes these two stories accompanied with having exhilaration that comes with all epiphanies, those unforgettable bursts of new understanding. BOOM. "...exhilaration that comes with all epiphanies, those unforgettable bursts of new understanding." -Mali. I want all students to experience this in my classroom. They are the perfect reason that inspires me to teach authentically and passionately. They are what motivates me to teach in a way so my students can experience a moment as incredible as that. In this section, Mali also argues that teaching is not made from a gradual, steady process year after year. Instead, the process of learning is more like a series of minor and major lightning bolts that strike the brain constantly. I had never thought about it from that perspective, but when I think about my own personal learning experience, my learning is driven by those 'ah-ha' lightning bolt strikes. If we want these lightning bulb moments to strike our students, we need to provide them the opportunity to have access to those moments. Our new academic year is sneaking up behind us. This is the perfect opportunity for us as educators to strive for something bigger, more powerful, than ever before. Whether you're a first year or veteran teacher, I challenge you to engage your students in lessons where lightning bolts are waiting patiently to strike. I can guarantee those will be the moments you remember the most in your entire teaching career. Those will be the moments in your career that will be definitely beautiful. Thank you, Taylor Mali, for inspiring this group of amazing educators! Be on the lookout for our next post written by Michelle Brezek at Big Time Literacy. ​I will keep updating these posts so you can have instant access from my page. Thanks for stopping by! Until next time, friends! From Hack #8: The Book Nook, we are switching gears from paper to digital and we'll find ourselves, once again, discussing ways to implement technology into our classrooms. However, it wouldn't be a 'hack' if it didn't have a spin to what we typically discuss regarding social media in the classroom. To be honest, I had different expectations for what this Hack had in store for us. Before diving in, I was already preparing to learn about how the use of social media by teachers would help increase teacher knowledge, share common ideas, lessons, struggles, encouragements, etc. This is something I am strongly passionate about in my practice, and I couldn't wait to take in more ideas and enhance my PLN. ​This Hack quickly proved my thinking wrong as I began to realize The Glass Classroom was not solely for the teacher's benefit, but for the benefit of others involved in the teacher's circle. Barnes and Gonzales write Hack #9 with an intention for educators to make their walls transparent and allow colleagues, administrators, and even parents to be virtually present in each moment in the classroom. Barnes and Gonzales go on to explain that they've come to realize that real, live experiences that happen in the classroom tend to float away as soon as they're over. Problem: What happens in class stays in class. The Hack: Build a transparent classroom with social media. The goal of The Glass Classroom is to upload and showcase content and student engagement that will benefit those who cannot be physically present in the classroom. Absent students who need to get caught up with the material covered during their absence. Parents motivated to help their child with their homework at home. Other teachers preparing to teach a similar lesson/content. Students reviewing the material to prepare for assessments. Take a look at the following mobile apps that educators can begin using to knock down those walls. Once you create your social media channels, share them! Our educators and students do amazing things within those four walls, let's extend our classrooms beyond the concrete. Let's create a digital community for our classrooms and continue to hack education. I know I'm ready to give my social media use a little 'shake up' to knock down my classroom walls. ​What other mobile apps do YOU use in your classroom for these same benefits? Comment below, I'd love to hear from you! ​Hack #10: The 360 Spreadsheet - COMING SOON on 4/6! For more insight and collaboration from Miss Kaczmarek's Classroom, follow me on IG and Twitter @MissKsClassroom and begin connecting and expanding your PLN. Bus Stop 20-22, Hop On! Clark explains that we are a nation that has been built by people with tremendous work ethic, people who weren’t afraid of a challenge (Clark, p. 104). However, nowadays, people in the workplace have shown that appreciation should be expected, no matter the performance or contribution. They firmly believe they deserve this or that. They believe they are entitled to it. Once the mind-set is there, the work ethic of those individuals starts to decline. Do you agree? My question is this: what has led us to this entitled state of being? Clark believes the answer lies in the way we are raising and educating our children in America. Picture this: ​You’re a child in the 21st century surrounded by technology, innovation, competition, and (I hate to say it) greed. You're a child that has the newest iPhone and the hottest toy on the market (I'll take a Peppa Pig, please!). You're a child that typically receives all that is wanted, and you are living a very carefree, privileged childhood. Now picture this: You’re a child born in the 20th century, living in a small home, working at a young age to help support your family, and often find yourself taking care of your siblings while Mom and Dad are working long days. You work and you're appreciative of what you earn and have been given. This shows in your work ethic and personal life: you values, etc. Disclaimer: I do not mean to categorize anyone, make assumptions, or create stereotypes with these two scenarios. My purpose is this to emulate that there is a distinct divide by how these two children are raised. So, what do YOU notice about these two *fictional* scenarios? The first child seems to have been given a lot. In my mind, that child is fortunate and should be grateful for all that he/she has been given. But maybe that's not the case. I am looking at this from the outside in. Clark demonstrates that this child (or these children) are simply given too much. When this happens, the children receive all of these elaborate materials/experiences without having to work for them, in turn, expecting things for nothing. So how does this relate to the working world? I am a total 90's chick (N'sync groupie, hey!). My parents did not hand everything to me on a silver platter, and maybe yours did not either. But maybe you did receive a lot. I certainly am not writing to pinpoint anyone or contradict beliefs and opinions. Regardless of what you have experienced, I do believe Clark shows validity in his claim that there is exponential growth in children of the 21st century and their perception of their entitlement, in general. You have to do more than just show up to be rewarded. Work to earn actual recognition and praise, because nothing is promised of you (Clark, 107). ​Life: endless to-do lists, countless demands, and only 24 hours in a day. Hmph. How can we possibly live up to all of these expectations and deliver them efficiently? ​Clark demands that we honor our commitments and don’t make commitments we can’t keep. *Insert promotion of personal blog here* This past holiday season, I wrote a post regarding 'Best Yes' choices and how to survive an overwhelmed schedule. Feel free to reach out and I will gladly send the link your way. My to-do lists, hopes for my professional life, and personal commitments often times feel so demanding. Am I the only educator that feels this way? I am assured, I am not; I can actually hear the "MHM" from inside your head in agreeance. I hear my commitments actually screaming at me if I decide to look the other way for a few short moments, And yes, teachers do have lives outside of the classroom. Sometimes I find myself pushing some commitments aside because I prioritize other commitments. 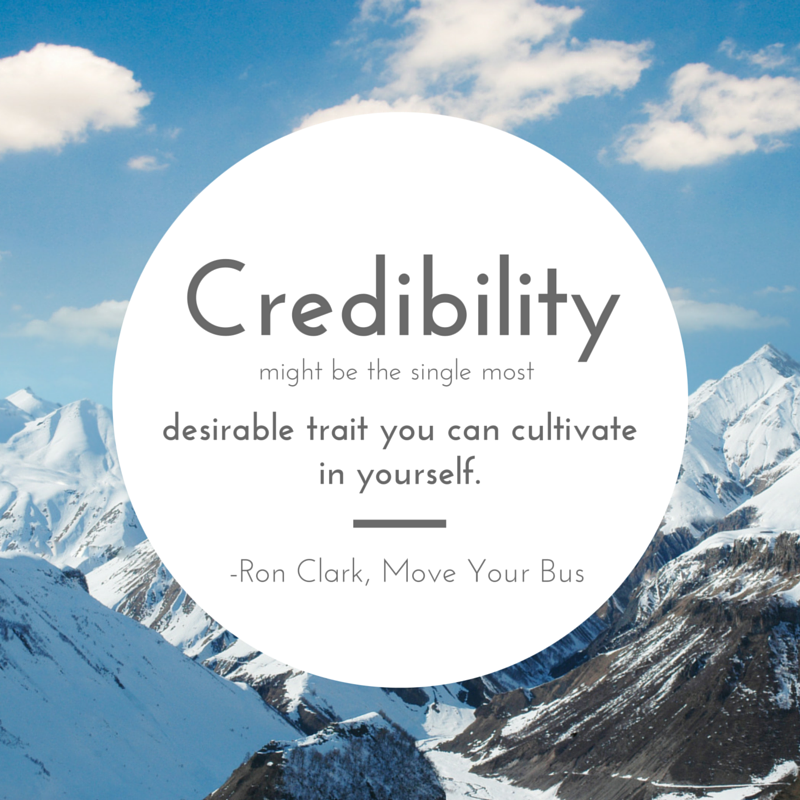 Clark has taught me that maintaining credibility correlates to establishing accountability in our work and personal lives. When we pile too much on our plate, we are allowing ourselves to fall short of our best work. Clark states that when we do fall short, we can remain credible by taking responsibility for our mistakes and finding ways to correct any errors you make. Take that statement with a grain of salt. That is not a ‘get out of jail free’ card. We want to ensure that mistakes are not reoccurring events in our work. Did you realize I did not open this blog with a warm welcome? An inviting note that I am so glad you are here reading with me? Bloggers, I excluded that for a reason, specifically to make a point that little details and warmth matter, as Ron Clark has pointed out in Chapter 22: Pay Attention to Details. Congratulations! You’ve made it safely to our next bus stop. Welcome, friends, to Miss K’s classroom! I’m glad you’re here and I welcome your thoughts, ideas, and collaboration. If you missed the last blog post from my colleague, Leah O'Donnell, you can find the link here. If this is the very first post you’re reading, I invite you to my previous Move Your Bus post that will give you the link to where we began with Colleen Noffsinger. Clark states that runners are always asking themselves: “What can we do to make this a little bit better?” Finding ways to uplift people by fine-tuning all the little details to make the experience warmer and more inviting. First impressions are everything. We’ve been hearing this saying all our lives, especially when going on a job interview, meeting our students’ parents for the first time, or even going on a first date. It’s a common statement; because it is accurate to say that presentation matters. This takes me back to my colleague’s post, Ginny Burdett, about dressing to impress. Presentation is key and we need to remember that – not only with how we look – but how we teach, how we interact, and how we ‘sell our product.’ I don’t mean to focus on the physical presentation (i.e. newsletters and anchor charts are crafted to perfection), but what sets Runners apart from everyone else is realizing that “small things can be important, can demonstrate respect or a work ethic, just as much as larger things do.” (Clark, 116). Welp, you have a flat. That pothole has now allowed you from getting to work on time and has caused a major roadblock in your schedule. Don’t let the drama on your personal bus affect your work bus (YES! My personal favorite). Don’t just be good, be efficient! Beep, beep! It looks like we’ll be quickly arriving to our next stop, but the ride will continue! Don’t forget to continue on our journey with Angela Gonzales' post on Monday, February 22, 2016 as she reflects on "How to Map the Route." Thank you all for joining me for Ch. 20-22. I had FUN! Please do not hesitate to comment directly below or through the Contact Me page. I VALUE your thoughts, opinions, and collaboration. If you're anything like my first graders, brain breaks are a necessity and there's nothing wrong with a 10AM dance party in our "bubble space." So can you and I. Did you know busses move, too? But, 'busses' can only be moved by you and I. Being a part of the empowering and innovative district that I am (Berwyn South District 100), I have the opportunity to be a part of a traveling blog PD. Have you heard of such a thing? We are utilizing our digital market and social media to enrich our passions with eductators in our district, some of which I have never met. Yet, we're in it together. You read correctly: it's a traveling blog! 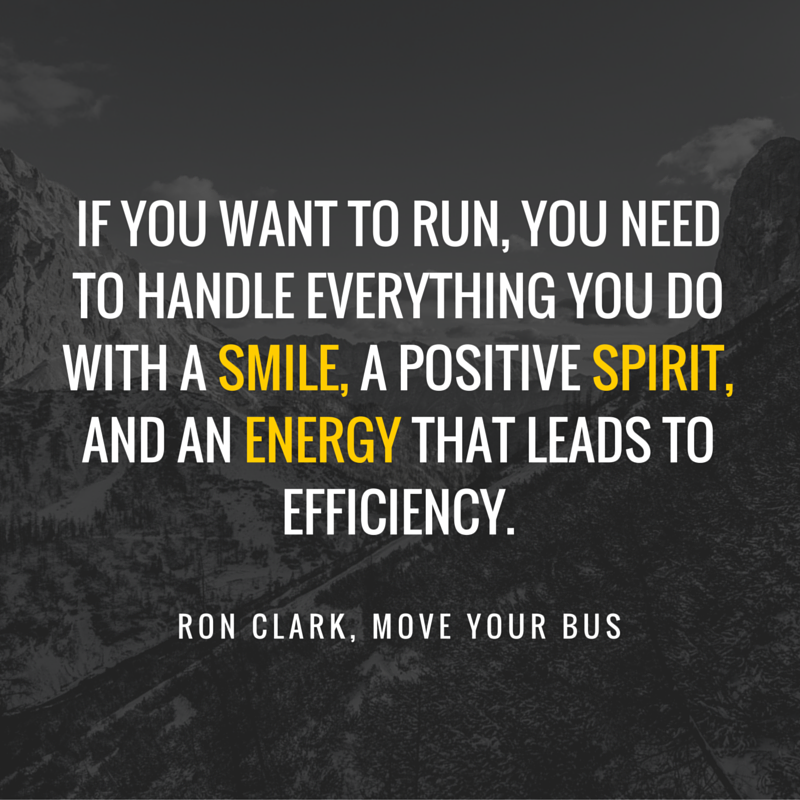 This #D100BloggerPD is centralized around Move Your Bus by Ron Clark. There are 13 educators across our district participating, each of which have been assigned a section of Move Your Bus. You will get the first, most efficient Move Your Bus 101 crash course from Colleen Noffsinger. She does an immaculate job setting the scene for what's to come in #D100BloggerPD. The first blog post written by Colleen can be found here. From her site, you can continue to follow the path of our travels and participate WITH us in our study. Share you thoughts, reflections, and (most importantly) your 'ah-ha' moments. ​We're excited to have you along, so hurry onto our bus! It's a ride you won't want to miss.